I was recently interviewed by Judy Chern, reporter for The Daily Voice. The article was published on Thursday last week, November 29th. Judy had many interesting questions for me and I absolutely enjoyed chatting with her. 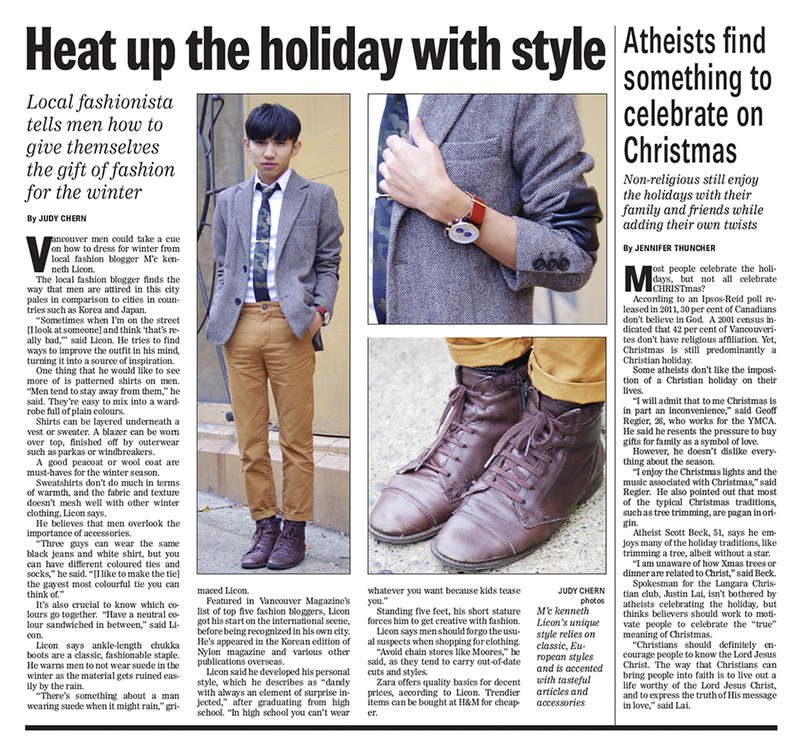 She mentioned her editor wanted to know my fashion advice for men this season and I was more than happy to share them. Below is the press-clipping, Enjoy!